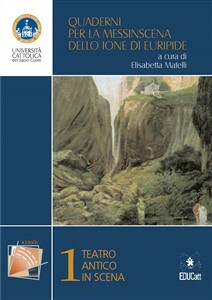 In 2013 EDUCatt launched the series Teatro antico in scena with Quaderni per la messinscena dello Ione di Euripide, edited by Elisabetta Matelli. The series is issued in collaboration with Kerkis: Teatro Antico in Scena, which also sponsors events promoting the study and broader reception of Greek and Roman theater. Below, an affiliated production of Plautus’s Amphitryon.